Graphic design is an important component for any successful web site. Although we are happy to offer examples of our work, we want you to know that these designs are what each client asked for and they may not be what you are looking for. That is the beauty of custom design. We can create just what you are looking for. 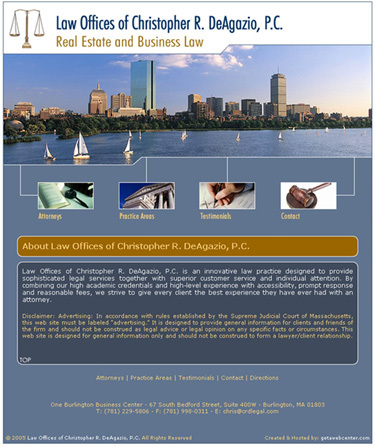 Law Offices of Christopher R. DeAgazio, P.C.